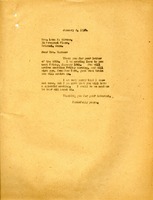 Martha Berry writes to Mrs. Barnes, telling her that she is sending Inez on January 10th. She apologizes that she will be unable to come but promises that they will have a great meeting anyway. 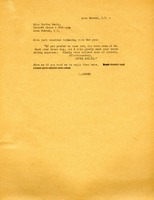 Bonner sends the text of a wire from Effie Smiley advising Berry that a room is available for her at Mr. Rest over Labor Day; Smiley will meet Berry's travelling expenses.